Fishing and kayaking are a great combination. Refining your techniques while doing this from the convenience, comforts, and idyllic base camp location on Spring Island is even better! Fishing and kayaking are a great combination. Doing this from the convenience, comforts, and idyllic location of our Wilderness Retreat on Spring Island is even better! This experience is scheduled to allow morning and afternoon fishing sessions around tides. Delivered in partnership with SKILS. The shallow draft, manoeuvrability, and stealth of the kayak allow anglers to tuck into the nooks and crannies that fish love, close to the kelp and rocks. The technical and tactical challenges of fishing from a kayak offer real rewards for fishers. 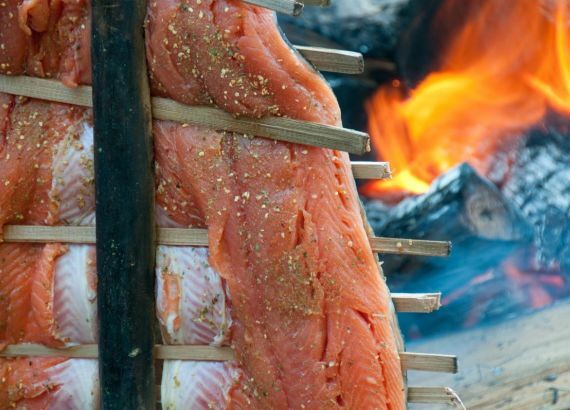 Its also a great way to supplement food on a paddling trip, and share with new friends in camp. 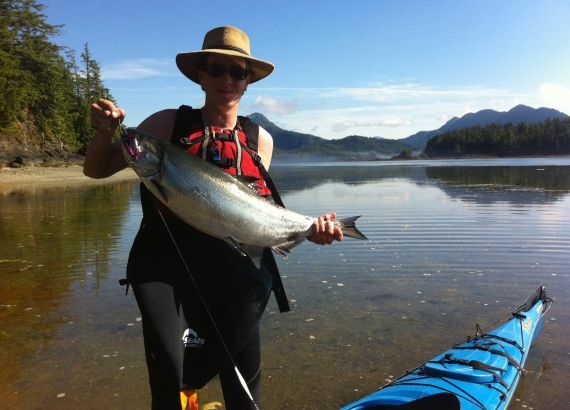 Our location is on the doorstep of legendary salmon fishing that is easily accessed and enjoyed by sea kayak. There's nothing quite so exciting as playing and landing a fish from an ocean kayak with only a short paddle back to an established camp with cooler and freezer storage, and a chef! Whether you want to fish from a dedicated fishing kayak with all the associated bells and whistles, or you want to minimally modify your existing sit-in kayak for fishing while touring, this kayak fishing course is for you. We are partnering with long-time friends and industry leaders, SKILS, to offer this amazing experience. 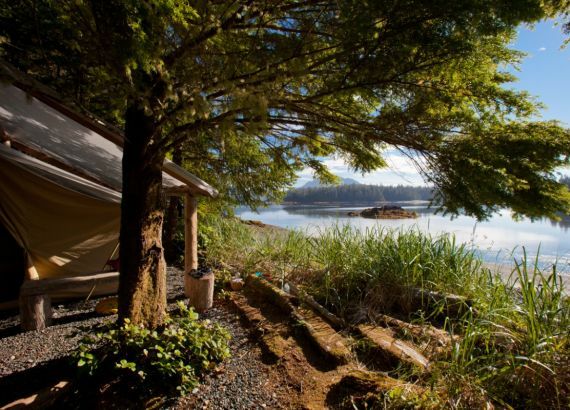 Take advantage of our one-of-a-kind location with wilderness camping comforts and world-class kayak fishing opportunities in remote and spectacular Kyuquot Sound. The SKILS instructors/guides offer focused kayak fish guiding expertise with the passion and experience to coach all aspects of safe and effective fishing from a kayak. The kayak fishing will focus mainly on chinook salmon, as well as coho salmon, halibut, lingcod and rockfish. 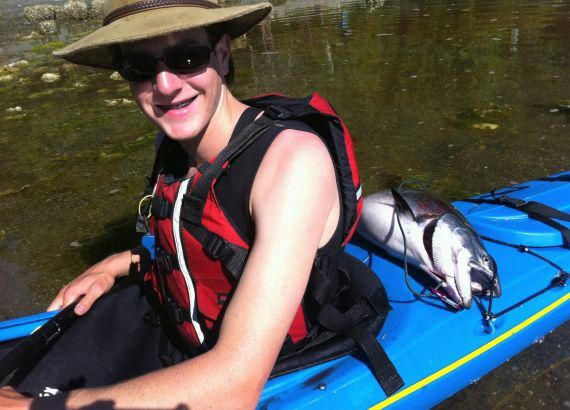 Kayakers seeking to become more proficient in fishing from their kayak. SKILS Kayak Fishing Level 2 or equivalent experience is recommended as a prerequisite for this program. Give us a call if wanting to discuss your previous experience and suitability for this area. SKILS and WCE will provide you with all the necessary equipment. We have a selection of open and closed deck kayaks for you to try as well as a wide variety of kayaking and fishing equipment. We do, however, encourage you to bring the kayaking and fishing equipment that you normally use. If you have a kayak that you are currently using for fishing (or plan to use in the future) bring it to the program so that you can work with your instructor to rig it properly and can learn using the gear that you will be using in the future. (Participants will be charged for lost or damaged equipment, e.g., expensive lures). A detailed packing list (including your own sleeping bag, unless you prefer to rent one from us), pre-trip information package, waivers, and participant agreement and medical information forms will be provided upon registration. These need to please be reviewed, completed, and returned at least 4 weeks before the trip date. Fishing License:	Federal salt water fishing license for yourself with your salmon stamp. Fishing licenses can be purchased on-line through the Department of Fisheries and Oceans. Delivered in partnership with SKILS. Transportation: includes two-way water taxi from Fair Harbour. CAD$900 deposit reserves seat; full payment is due at least 75 days before trip start. PLANNING TO MAKE IT HAPPEN! CONTACT US IF INTERESTED - YOU'LL BE THE FIRST TO LEARN THE DATES! This program is based out of our Wilderness Retreat Base Camp on Spring Island. We are nestled on the edge of the Mission Group Islands, perched among a chain of Barrier Islets in the Kyuquot area. The program is 5 days (4 nights) in length. Please aim to arrive at Fair Harbour midday on Day 1. Midday start and end times allow for travel to and from Fair Harbour, on the same day, for most participants (e.g., from the Courtenay/Comox). Once in Fair Harbour you will be transported to Spring Island via water taxi. Course fees include the cost of water taxi transportation to/from Spring Island. When making your travel plans to Fair Harbour, please ensure you have a suitable vehicle for use on well-travelled gravel roads. Alternatively, West Coast Expeditions may be able to provide a van shuttle service from Courtenay/Comox/Campbell River to and from Fair Harbour. The cost is $200 per person for the two-way trip, pending space availability. Contact us to inquiry. For handy reference, here are detailed directions for the drive to Fair Harbour which is approximately 5 hours from Courtenay/Comox, with the first 3 hours on paved road, and the last 2 hours on gravel road. 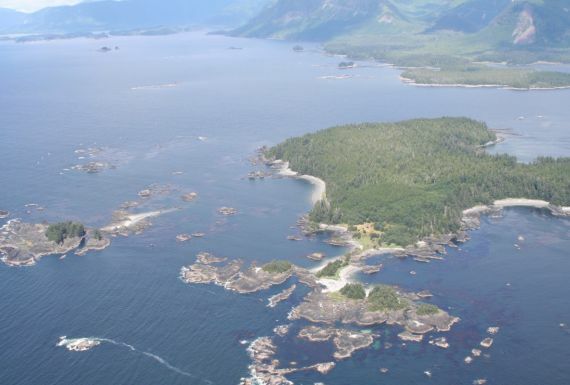 Guests can alternatively arrange for a charter float plane flight direct to our Wilderness Retreat on Spring Island. Please inquire if interested in learning more about this option. Please confirm your transportation decision soon after registering so that we can ensure the proper arrangements are in place for driving yourself, the van shuttle, or flight bookings. Book Now or inquire if interested!